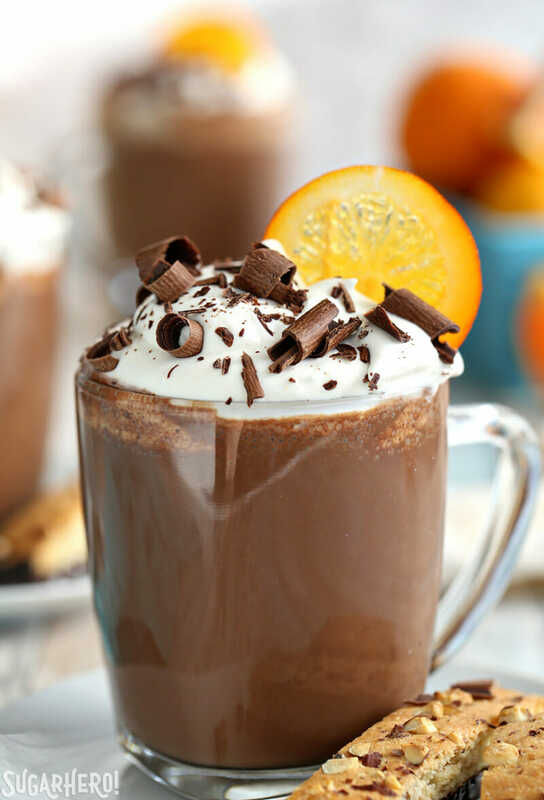 This Orange Hot Chocolate is a rich, creamy homemade hot chocolate with a vibrant orange flavor! In case you couldn’t tell, I’m on a huge homemade hot chocolate kick right now. 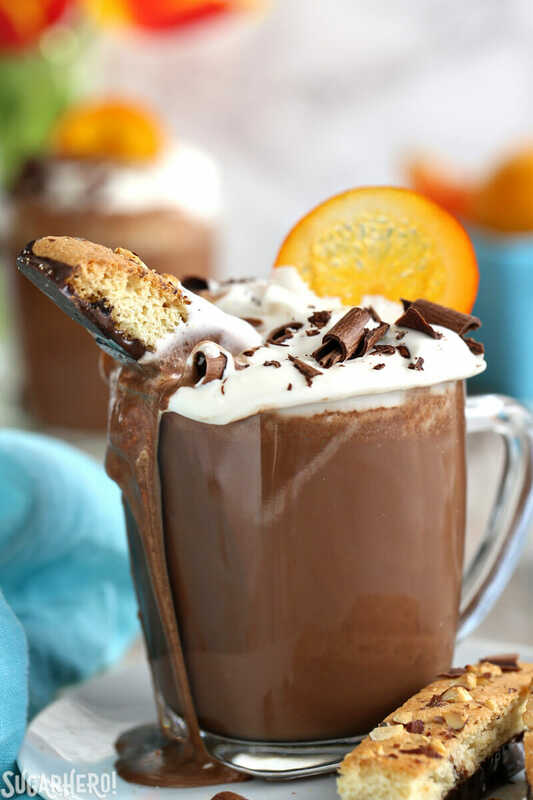 The Strawberry Hot Chocolate from a few weeks ago really got me in the mood to experiment with more fruit + chocolate pairings, and this Orange Hot Chocolate may be my favorite variation yet! Obviously I love orange and chocolate together, but I’m pretty picky about my orange-flavored desserts. They have to taste authentically like an orange, not like chemical orange flavoring. So when I made this hot chocolate, I used the rind of a (well-rinsed, organic) orange, and infused it in the milk and cream for almost an hour. You can speed up the process and only let it sit for 30 minutes, but honestly, the longer the better to get the vibrant taste of a fresh orange! 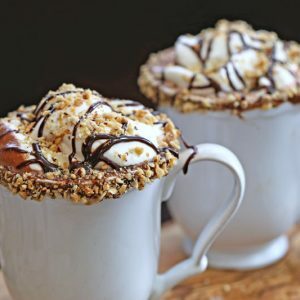 For toppings, you can’t go wrong with lightly whipped cream, piled on top of the hot chocolate in big pillowy spoonfuls. I also added some chocolate shavings, although hot fudge sauce would be equally delicious. And finally, I had some candied orange slices left over from another project, so each mug got one of those as well. Totally optional, but I think we can all agree they’re pretty freaking cute that way. Oh, and dunking almond biscotti in your hot chocolate? I guess it’s technically optional, but if it were up to me it would be a requirement. 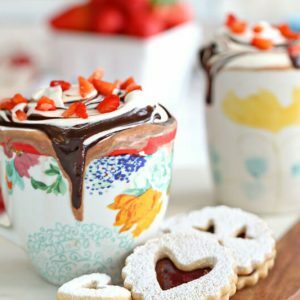 There’s not much better than a crunchy cookie soaked in hot chocolate! 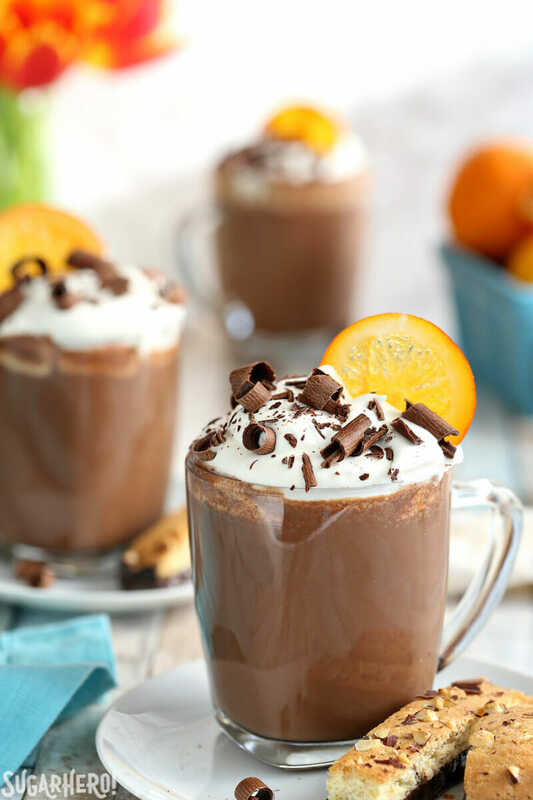 This Orange Hot Chocolate is a rich, creamy homemade hot chocolate with a vibrant orange flavor! 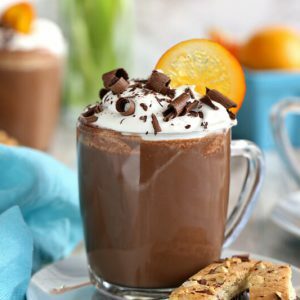 Real orange rind is used to make this hot chocolate, so the citrus taste is fresh and authentic. Make sure the orange is washed well, then use a vegetable peeler to remove the rind from the orange. Combine the orange rind with the milk and cream in a medium saucepan over medium heat. 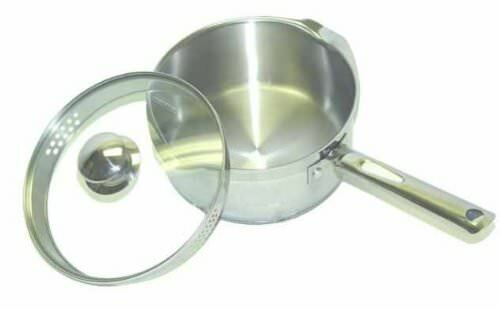 Bring the milk mixture to a simmer, and once it’s simmering, remove it from the heat and cover the pan with a lid. Let the mixture sit for at least 30 minutes, and up to 60 minutes—the longer it sits, the more flavorful it becomes. Use a slotted spoon to remove the pieces of orange rind, and add the chopped chocolate and pinch of salt to the saucepan. Place the pan back over medium heat, and whisk often as the mixture heats up. Continue to whisk and cook the hot chocolate until the chocolate is melted and everything is smooth and homogenous. 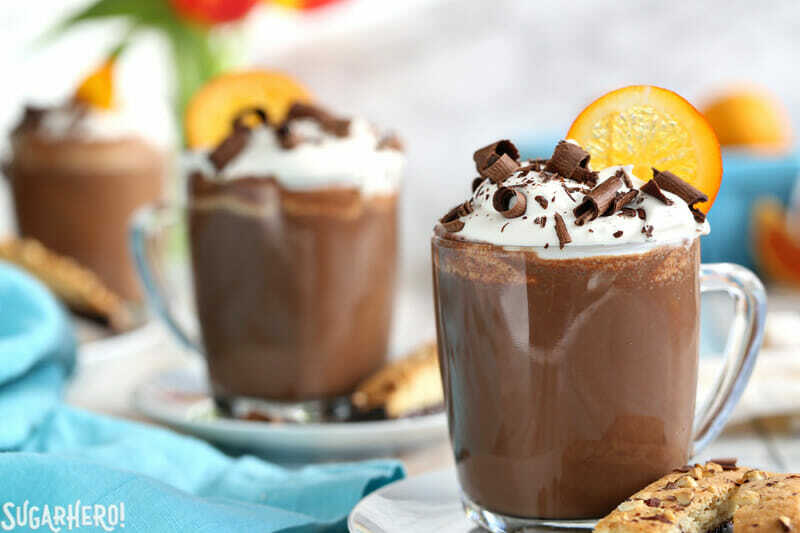 Serve the hot chocolate in small cups, topped with the garnishes of your choice. 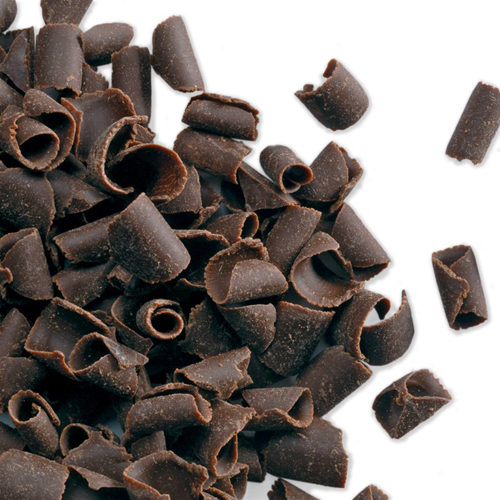 Whipped cream and chocolate curls are my favorite way to enjoy it! For a shortcut version, omit the orange rind and combine all other ingredients plus 1 tsp orange extract in a saucepan. 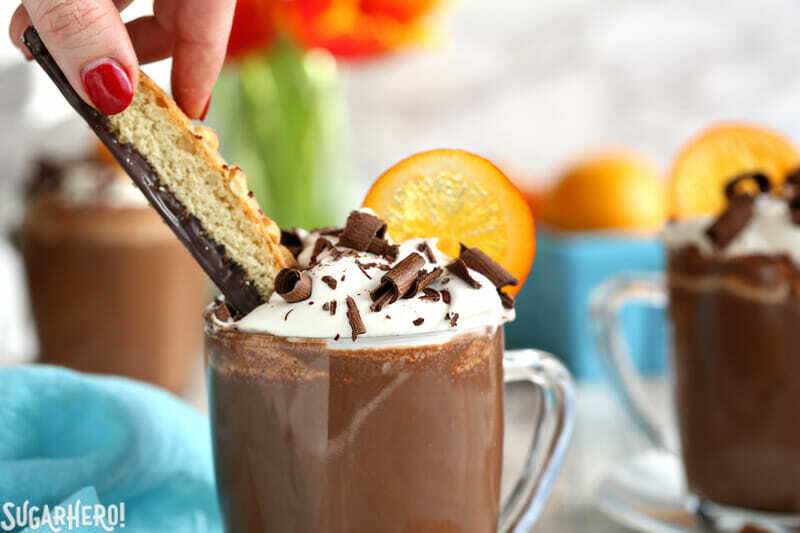 Once everything is heated and combined, taste the hot chocolate and add more orange extract if necessary to get a flavor you like. For some reason, I’ve been craving chocolate and orange together so I’m really glad you posted this. 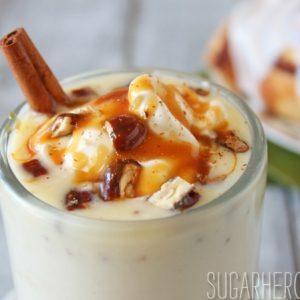 I’ll be trying this later this week along with the brown butter cookies from your salted caramel ice cream sandwich recipe. 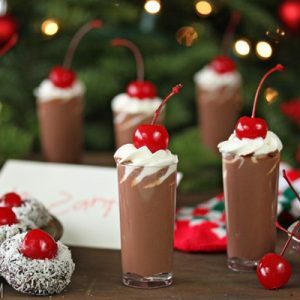 I love, love, love all your creative recipes and you inspire me in my own dealings with all things yummy-sugary.